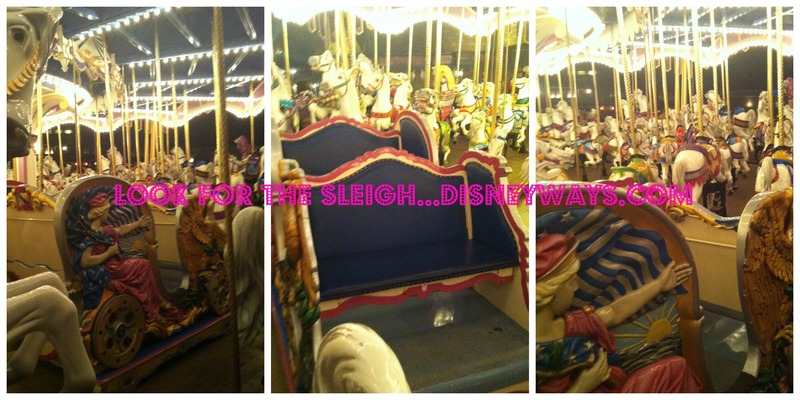 World Secret: How to Find Cinderella’s Horse in Seconds on the Carrousel! 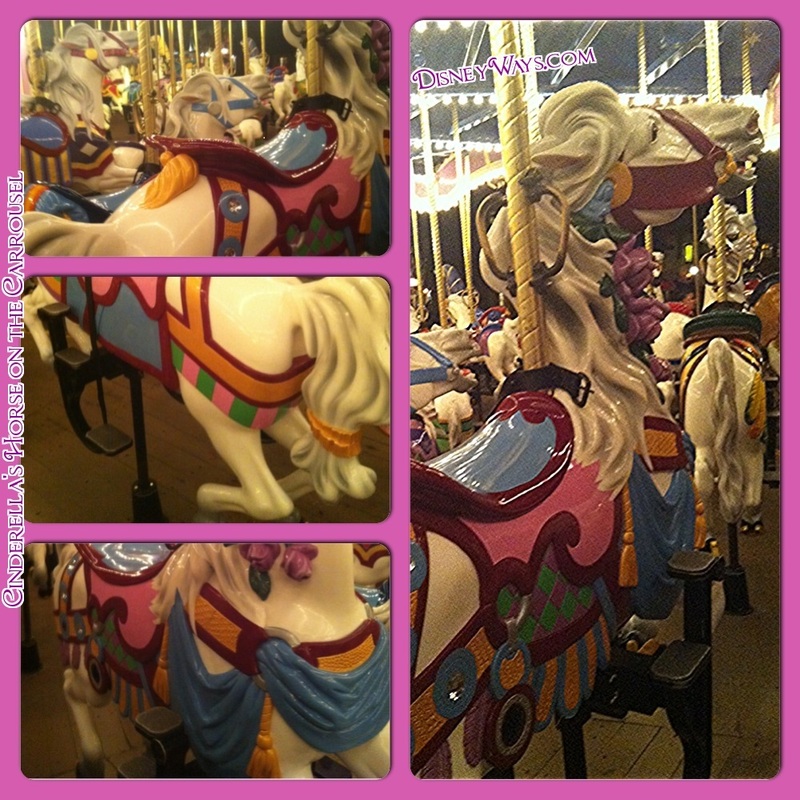 Did you know Cinderella has her very own horse on Prince Charming Regal Carrousel in the Magic Kingdom? You will know you’ve found the right horse if you see a golden ribbon on it’s tail. The challenge can be to find this world secret among the herd. Here’s how you can find it super fast and amaze all your friends! Keep calm and…look for the sleigh! There is only one sleigh – and it’s big – so this is pretty easy to do. Once you spot the sleigh – go up 3 rows – and look towards the center of that third row. Once you see the beautiful horse covered in roses – with the signature gold ribbon on the tail – you’ll know you have the right one! Now get on and practice your princess wave! Hey if we can’t stay in her suite in the Castle – or are perhaps a little old for the makeovers in the boutique – isn’t it great to know we can at least ride on Cindy’s horse? If a big burly Dad beats you to the horse first – perhaps you can tell him this secret and make his day! Or – just snicker to yourself like I always do. I hope you enjoy this World Secret in record time! Have a magical day!